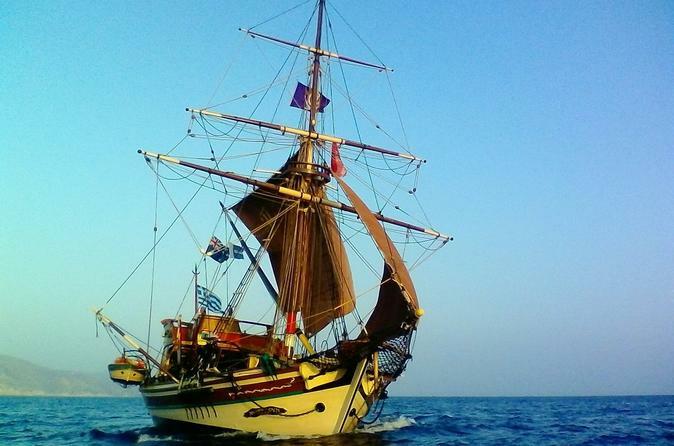 Enjoy a romantic sunset sail in the Aegean Sea on this half-day pirate ship adventure from Ios. Board a classic wooden vessel at the island’s port and explore gorgeous bays, experience spectacular views, and sip a delicious signature cocktail prepared by the crew and included in the tour price. Return to port just in time to hit the island’s nightlife scene.